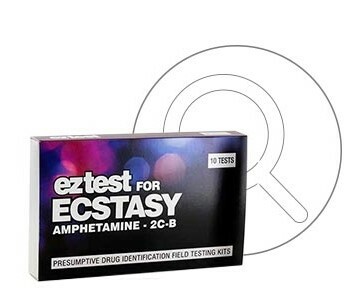 >Blog>Molly, MDMA And Ecstasy: Whats The Difference? Molly, MDMA And Ecstasy: Whats The Difference? Ecstasy (also known as XTC or E), Molly and MDMA are often used interchangeably, but is this correct? 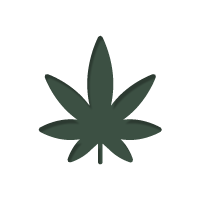 Zamnesia takes a look at the three substances, discusses differences and similarities, and tips you on how to test your stash. If you like to party, you most likely have taken XTC at some point in your life. For many, it is a regular ritual, essential to the weekend program. Most assume what they are taking is MDMA, but that isn’t always the case - what’s being sold as Ecstasy can be anything. MDMA is famed for the glowing feelings it produces on a night out, but it can make you pay for them with a nasty hangover the next days. So What’s The Deal with Molly and MDMA - Aren’t They The Same Thing? The answer to this is yes and no. MDMA should be the main and sole ingredient of Molly and Ecstasy, but more often than not, nowadays there isn’t any MDMA to be seen at all. Both Molly and XTC have basically become drug cocktails, or the ‘mystery meat’ of the drug world – you never really know what you are going to get. Molly describes a white powder or crystalline substance that is supposed to contain a majority of MDMA, as well as a medley of other substances. This can include brick dust, speed, meth, heroine, chemical fertilizers, rat poison, and other general bulking agents to help the drug dealer increase their profit. The same can pretty much be said for XTC, but instead of a powder, it is in a pill or capsule form. To give you an idea of just how unlikely it is that the drug you are taking actually contains any MDMA, a report from the DEA in America found that only 13% of all Molly seized actually had any MDMA content. It’s pretty scary, considering most people don’t question what they are taking. What this basically means is that if you are planning on taking some MDMA, make sure it is the real deal. Now, of course we don't encourage the use or purchase of illegal drugs, but if you chose to do so, make sure you know and trust your source. If you cannot bring your own stash to a party, at least question the dealer about the contents of the pill or powder. If they tell you it is Molly or XTC, ask them about its MDMA content. A reliable source knows exactly what’s inside. Also, there are cheap, effective and quick drug testing kits available to see exactly what you are taking. If you are concerned, and want to test your stash or future purchases you plan to make, you can pick up a purity test from our webshop.